Pressures to 3500 psi, Flows to 64.8 GPM. Three-piece CI construction, low-friction bushings provide strength, high efficiency, long life in severe operating environments & optimized performance in high temp/low viscosity conditions. Cast Iron Bushing Pumps include the 315, 330, 350 and 365 models. Parker's Integral Valve Program was developed in response to requests from our OEM customers to reduce costs. Our applications engineers responded to this challenge by integrating the valves typically required for machine functions into our hydraulic pumps and motors. This integration has reduced the required number of purchased components, reduced or eliminated the need for hoses and fittings (and potential leak points), and reduced pump system assembly labor costs. 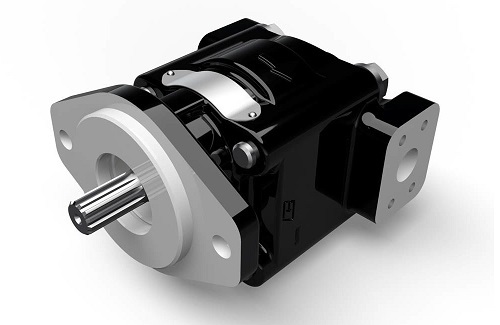 TRADE NAMES: 330 model Gear Pumps are also marketed under the Commercial, Tyrone and Ultra brand names.